Facebook Messenger is receiving a new update that will be mostly oriented towards group chats. 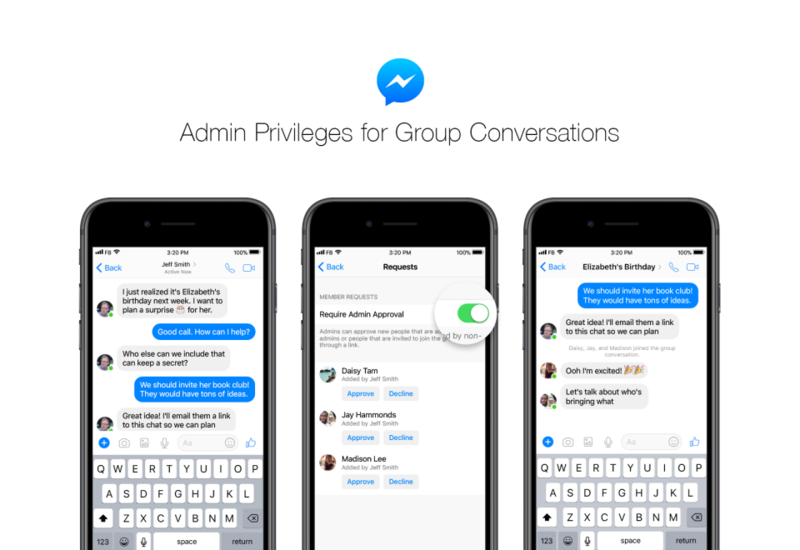 The company announced today that its chatting platform will receive a new feature called “Admin Privileges”. Basically what the new feature will do is that it will allow some users to have more control over the group chat activity. The reason behind the introduction of the feature is enhanced privacy and security. So let’s dive in to see some more details on the matter. If you’re someone who has received admin privileges, then you will have the option available to decline or approve new members before they officially join the chat. In addition to this, you will also have the option available to remove a specific member and also promote or demote a person as an admin. These are some of the privileges that only specific users will be given. The great thing about admin privileges in Messenger is they work in the background; if your group chat doesn’t need that level of control, it won’t get in the way of your group messaging. You’ll have the option to decide if you’d like admin approval for approving new members, but this preference is off by default in your group chat settings. So where does the feature come into play? Possibly in large groups where general meetups are concerned. However, users can use the feature for official use as well, which will be a welcome addition to the platform. While the admin privileges will be turned off by default, you will always have an option available to turn it on anytime you want. This is all for now, folks. What are your thoughts on Facebook adding a new privacy and security feature at the same time it has been accused of mishandling user data? Share your views with us in the comments.